Timmy was born around 1935 at the important claypan site of Parayilpil, where, before European settlement, large groups of Aboriginals gathered to conduct ceremonies after a good rain. After a few brief early encounters with "whitefellas", Timmy and his family definitively moved to Haatsts Bluff in 1958. Timmy is said to have been a very intelligent and handsome man, being described as "a sort of Apollo" by Ian Dunlop and "a classic Aboriginal warrior" by Geoffrey Bardon. He had a fair command of English and was also one of the few Aborigines who besides Pintupi also spoke the Warlpiri language. Timmy was part of the initial group of painters who first started painting at Papunya in 1971 and used his language skills to help Geoffrey Bardon learn some Pintupi. Timmy had a great love of ceremony and song and used his command of the Warlpiri language to encourage sharing of ritual knowledge. 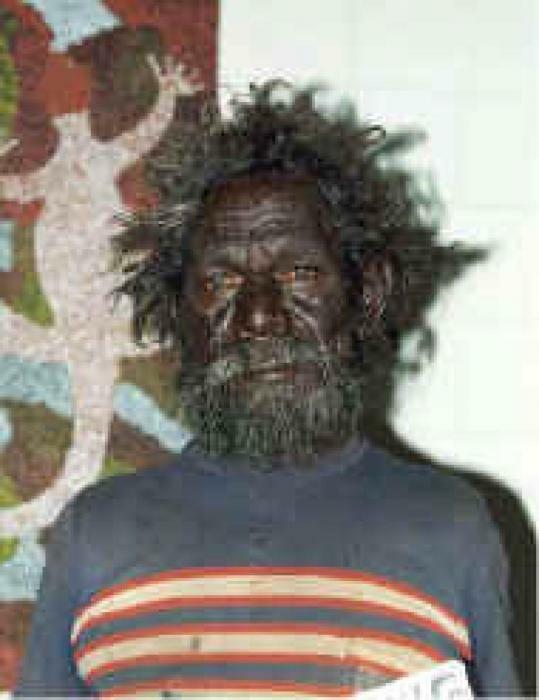 He was a keen advocate of the re-settlement of the traditional Pintupi homelands. Among Pintupi speakers, he was known as ‘Weti Tjukurrpa’ after his main Dreaming. He painted Dancing Women, Dingo, Snake, and Water Dreaming stories stemming from his home country, the area around the Alec Ross Range.